We have recently been hit with the difficult news that arts funding for small to medium arts organisations, especially ones that help young people and emerging creatives, has been slashed. The already lacklustre monetary distribution to the arts in Australia is now seriously dwindling and in danger. So, what are we to do? We keep on seeing art, making art, supporting art. That’s what we do. So, despite a heavy heart and a hopeless attitude, I made my way to Riverside Theatres last week to view the opening of Daffodils. Presented by Auckland, New Zealand’s theatre company Bullet Heart Club, Daffodils is a nostalgic, musical exploration of destiny, love, memory, and misunderstandings. Set against a backdrop of black and white Kodak moments, videos, and of course, a slew of indie rock gems (all remixes of New Zealand classics), Daffodils seeks to pull at the heartstrings of its audience in unusual ways. It’s a cabaret, first and foremost, but also a compilation of true events, real-life heartbreak, and glittering reaches of destiny. Led by a cast of two actors/singers/all-round extraordinaires, Todd Emerson and Colleen Davis, and backed by ‘the band’ that pumps and rocks the stage, Daffodils shines with its originality and the skill in which it grasps the audience. 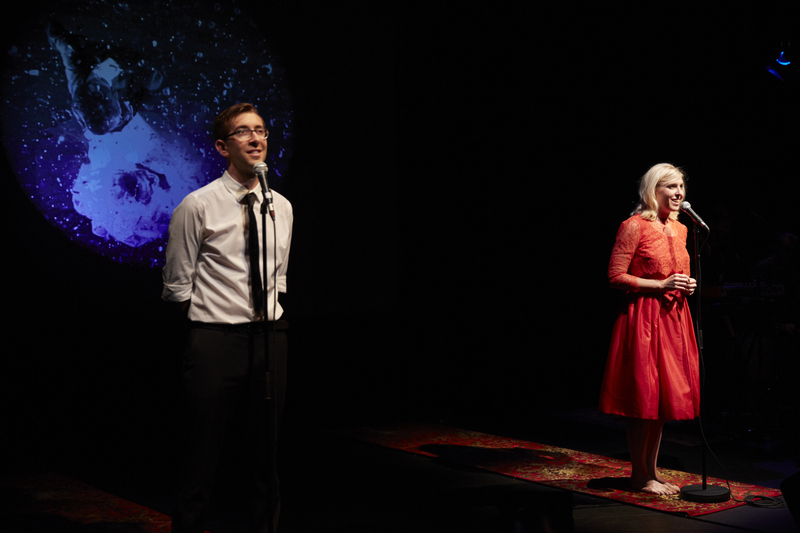 We follow the story of young Rose and Eric, who meet one fateful night in a field of daffodils in Auckland. They fall in love, they struggle with time and distance as Eric travels overseas to find himself, and they eventually marry in the quickest way possible, out the back of Rose’s family farm. The daffodil field is the epicentre of the story, because Eric’s parents met at the exact same place just twenty years before. From this elegant and glorious centre, however, darkness ensues and leaks into the story. We follow the couple as they go from house to house, as they both carry secrets close to their heart. 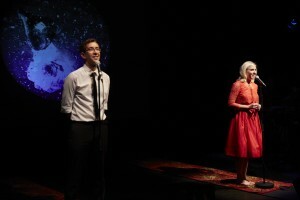 Daffodils has toured from New Zealand to Australia and has been selected to be featured at the Traverse Theatre in the upcoming Edinburgh Fringe Festival. It’s an incredible chance for a small arts company and an imaginative creative work to be seen at a global scale. For Daffodils to arrive in Sydney and to be able to travel to Scotland, however, it needs to be supported. It needs to have the backup of money, time, and a workforce to keep it going. It’s just like any other arts project or company. I can’t help but think about how although it is great to wave Daffodils off across the planet, what else is being left behind? What other work, what other artists, what other great and worthy organisations are being left in the shadows? There is truly a lot of artists and creative work that will now have to turn off the lights. So let’s keep on carrying torches, let’s keep on dancing under the spotlight of shows like Daffodils, let’s keep it alive. Because in the end, really, it may just be up to us to keep this all afloat. This entry was posted in Arts, Theatre and tagged art, arts, funding, Review, theatre. Bookmark the permalink.